----Are you tired of your heat pump failing to produce heat while succeeding to produce high heating bills? The Heat Pump Maximizer puts an end to the term cold heat; a term too often used to describe heat pumps. 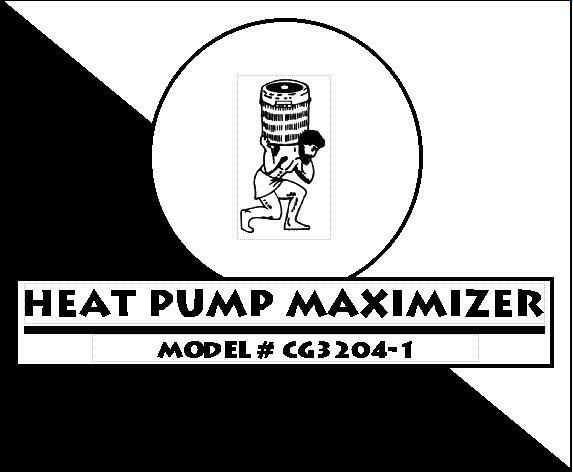 The Maximizer gives heat pumps the ability to engage the auxiliary heat at the most economical point of operation. The end result is a warmer home with a lower utility bill. ----During some heat pump installations, an adjustable outdoor thermostat is installed to engage the auxiliary heat in colder weather. Unfortunately, problems may arise if the device is not properly adjusted. If it is set too high, the auxiliary heat may engage prematurely causing high-energy consumption. If it is set too low, it could result in excessive operating time with very little indoor comfort provided. There are differences from one heat pump to the next as to when they may require auxiliary heat. Unlike the Maximizer however, the outdoor thermostat is not equipped to determine those differences on its own. ----Newer devices incorporate a sensor located at the supply side of the heat pump air handler. The purpose of this is to maintain a constant warm air disbursement in the heat mode. Some of these devices, however, lack the ability to engage the auxiliary heat at the most economical point of operation. The lower an individual sets their thermostat, the greater the chance the supply air will not meet the factory set point of the sensor in such devices. This can engage the auxiliary heat when it may not be necessary resulting in higher energy consumption and heating bills. ----The most common device is a multi-stage thermostat, which activates the auxiliary heat with a secondary temperature control in the thermostat itself. This secondary switch is typically set three (3) degrees colder than the primary. In other words, if the indoor temperature is more than three (3) degrees lower than the desired temperature, the auxiliary heat is engaged. The problem is that once there is a three (3) degree decrease in temperature, not only is it uncomfortable, but the primary system is forced to run constantly. In addition, the auxiliary heat is not permitted to satisfy the thermostat, but in fact is disengaged one or two (1 or 2) degrees shy of the desired room temperature. Therefore, the primary system operates continuously and the second stage heat cycles intermittently resulting in excessive energy consumption. 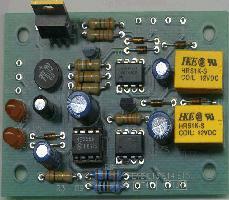 ----The Maximizer can address the shortcomings of all of the aforementioned products. Its ability to analyze the performance of any heat pump and to calculate the most precise point of operation to engage the auxiliary heat produces greater efficiency and comfort. Many of our customers here in Virginia agreed that, in fact, they did have lower heating bills and a warmer home after the installation of the Maximizer. Contractors who had previously contended that heat pumps lacked the ability to perform in cold weather have since re-evaluated their judgment in light of the results of the Maximizer. We now offer a SECURE ORDER FORM to order a Heat Pump Maximizer ONLINE with ease and safety for just $299.95*!! !